This first free advertising resource, Free Traffic bar, is a tool bar that you download and install on your computer. You then earn advertising credits from your normal Internet activity of visiting various Web sites. In other words you earn advertising credits for what you are already doing. Once you log in, under the “Training” link is an audio “Free Traffic Bar Insider Secrets” that is worth its weight in gold. I had to include this next free advertising resource, because I have signed up for so many programs that were advertised through it. Once you set this up (five minutes) it’s an effortless way to advertise. ScreeSwarm is a screensaver that appears on your computer screen whenever it has been idle for a fixed period of time. You can set any time period you want. The default time is 3 minutes. I set mine at 5 minutes. When the time period has elapsed, 15-second ads will cross your screen. Most are lead capture pages for various programs. Some are free offers. This program is highly viral since you earn ad credits from everyone who signs up under you down through 10 levels. Use this program to test the effectiveness of two different squeeze pages. By the way, the program is limited to those using Windows XP or Windows Vista. Leads Leap is an extraordinary free advertising phenomenon. Everyone on the net can benefit from effective advertising. When that effective advertising is free, it is all the more reason to get excited. I came across a unique incentive to subscribe to the Just Articles Newsletter, published by Dustin Cannon. Dustin offers a free social bookmarking service to new subscribers promoting any Web site you choose on the top social bookmarking sites. My suggestion is to create a duplicate page (with a unique url) so that you can track exactly how effective this promotion service is. Have you posted any videos on YouTube yet?? 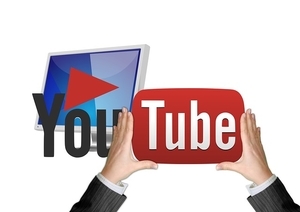 It’s a cold hard fact that over 100 MILLION videos are watched on YouTube every single day. Your blog or Web site url should be the first part of your video description. This url will be hyperlinked. You will get a much higher click-thru rate leading with your url. Use the “Insight” and “Discovery/External Links” radio buttons to find who has used or embedded your video. You can contact the webmaster and ask for a backlink. You should put a page on your own blog or site that describes your YouTube video as well as embed the video on your site. “All great wealth was created using some form of leverage”. There are 3 fundamental types of leverage, and I am sure everyone is familiar with financial leverage, such as using a mortgage when buying property. Look for Internet programs that multiply the ultimate benefit. But, I am focusing on operting leverage today. Or in other words how to increase your output per hour. You can increase your productivity output (of goods and services) or your promotional output. I’m focusing on promotional output or how to increase your advertising leverage. The Internet is unique in its abiliity to offer programs with significant built in leverage. Well, I clicked on the banner, and the rest, as they say, is history. I joined Ads And Cash and am in the process of enetering my ID’s for all the traffic generating programs. This program, Traffic Era, integrates operating leverage with a social network, a highly effective combination. There is a list of 500 free classified ad sites available in a free PDF format for download from Internet marketing guru, Howie Schwartz. A big drawback to the list is that it is not hyperlinked, but see my instructions of how to hyperlink the list at the end of this post.. Right click the “click here to grab your PDF” link and select “Save Target As”. Leave a space, then copy and paste the 10 prefixes again. – Leave a space, then copy and paste the 20 prefixes. Repeat until you have a list of 500 prefixes. Outsource or hire your kds to do this part of the process. Drive traffic to a lead capture (squeeze) page. and offer some free incentives to join your list. This post has to be quick since I have less than 15 minutes to finish it. It concerns a neglected but powerful source of free traffic. All free advertising replicators have a fundamental structure of multiple levels. The number of levels is determined by the number of websites (including yours) new members are supposed to visit in order to join. The first type is more valuable simply because some may not visit all sites on the replicators that merely request visits. Below is link to a Web page that lists multiple replicators of both types. if you join these ad replicators, you should promote them with every single online transaction you participate in.